Office 365, the web-based subscription service, is now included in volume licensing used by colleges and universities. With this added resource students, faculty, and staff can access Office web applications from anywhere or download the programs on their own devices–PC, Mac, iPad, iPhone, or Android devices. Uninstall any existing versions beforehand. Go to https://login.microsoftonline.com/ and log in with your OWU BishopMail address and password, selecting “Login with Work or School account” when prompted. Press “Install” at the bottom of the page to download. Click on “Run” to start the installation. Microsoft Office will walk you through all of the features available. Once the download is complete you will be able to use Microsoft Word, Excel, PowerPoint, and more. Go to https://login.microsoftonline.com/ and log in with your OWU BishopMail address and password. Microsoft Office 365 will walk you through all of the features available. Everyone will be able to get Office 365 web versions and download mobile versions from the appropriate App or Play Store. Online services associated with the school email address—-for example, Office Online and OneDrive—-will no longer work. Microsoft provides a range of Office options for individuals, including free online applications, so it’s easy to find one to fit your budget. However, you will have to sign up for a new (free) Microsoft account with an email address other than your OWU alumni email-for-life address. Which Versions are Available to Employees? 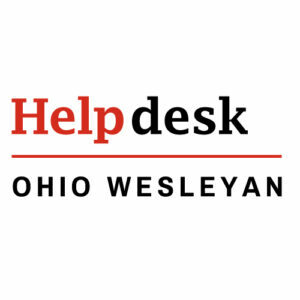 Several versions of Office are available to OWU employees at the Help Desk. Versions available for Windows are 2010, 2013, and 2016. The available versions for Mac are 2008, 2011, and 2016. Plus, all employees and students have access to Office web apps at login.microsoftonline.com. Quick reference guides for these and other applications and systems are available upon request.